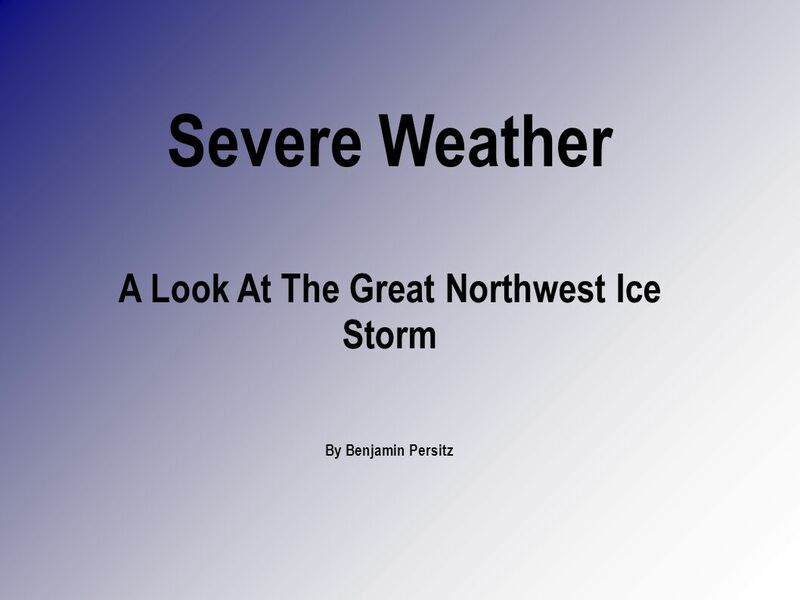 Severe Weather A Look At The Great Northwest Ice Storm By Benjamin Persitz. 4 What Was It? 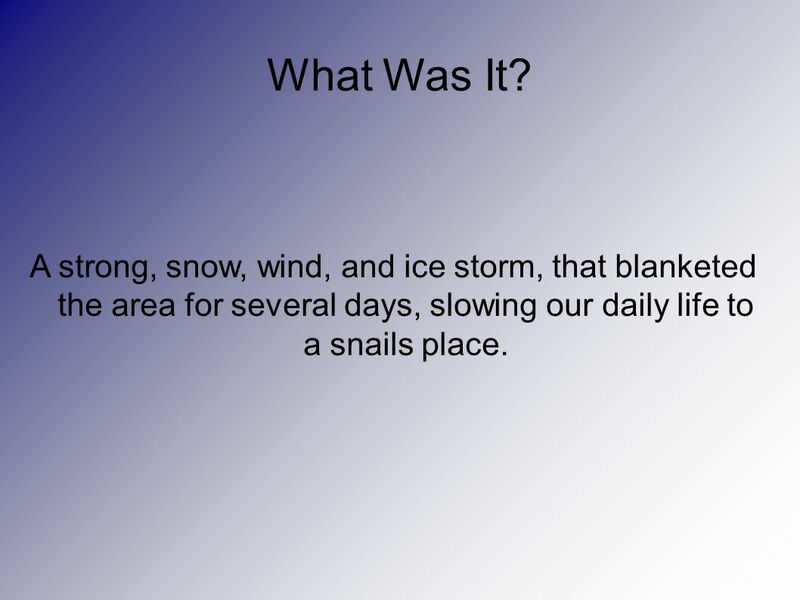 A strong, snow, wind, and ice storm, that blanketed the area for several days, slowing our daily life to a snails place. 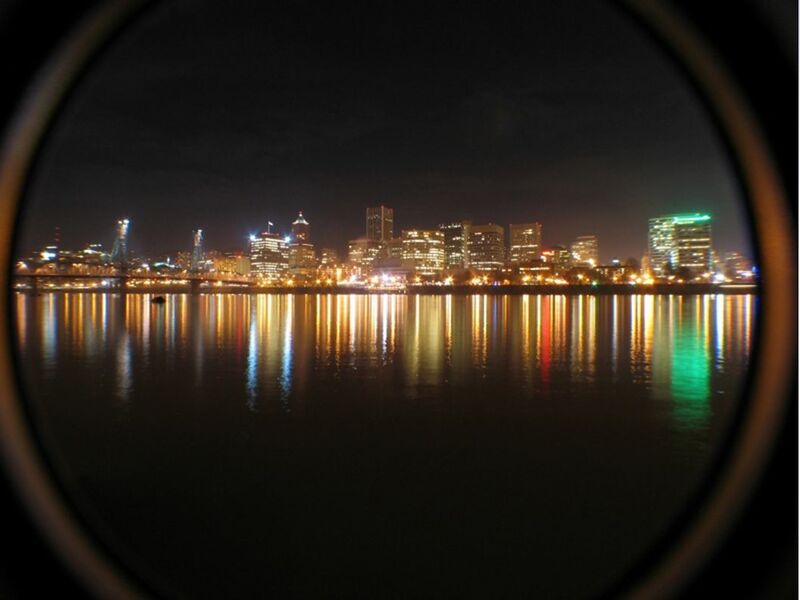 5 The Where The Pacific Northwest/West Coast, stretching from Seattle-Northern California We are mostly focused on the Portland/Vancouver metro area. 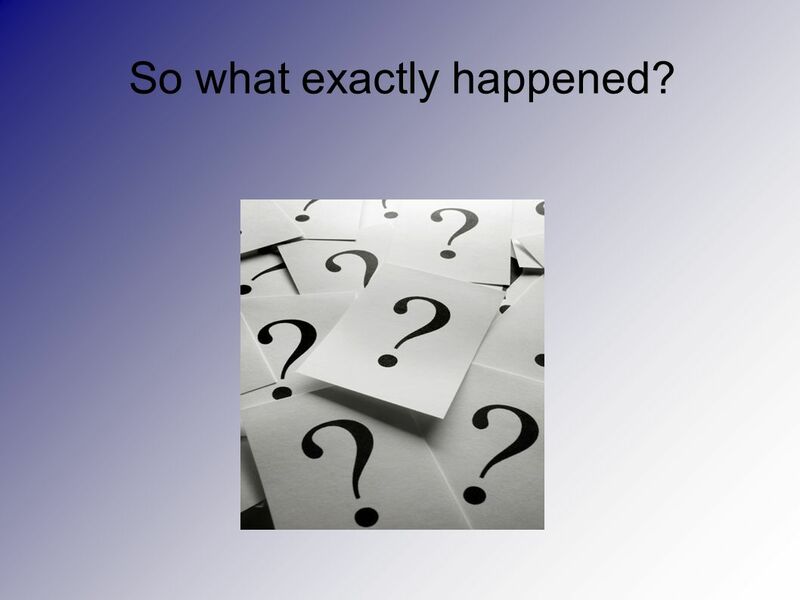 7 So what exactly happened? 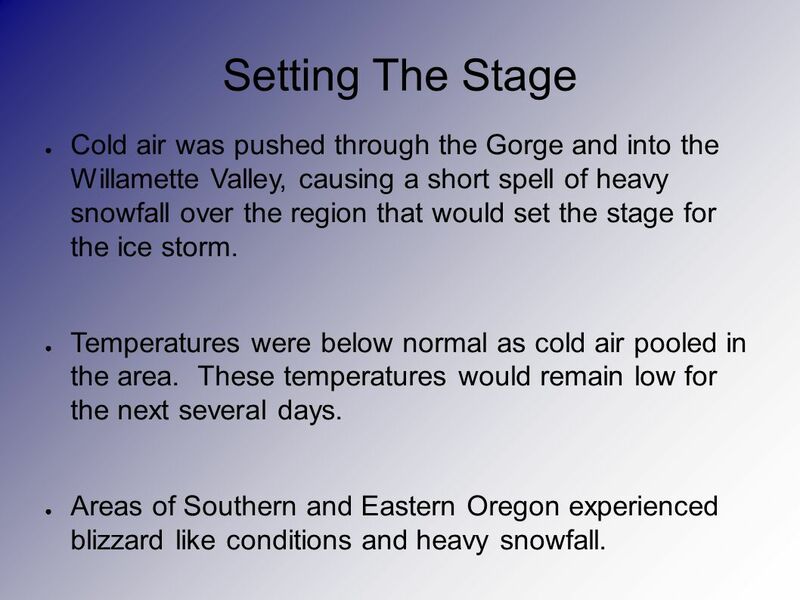 9 Setting The Stage Cold air was pushed through the Gorge and into the Willamette Valley, causing a short spell of heavy snowfall over the region that would set the stage for the ice storm. Temperatures were below normal as cold air pooled in the area. These temperatures would remain low for the next several days. 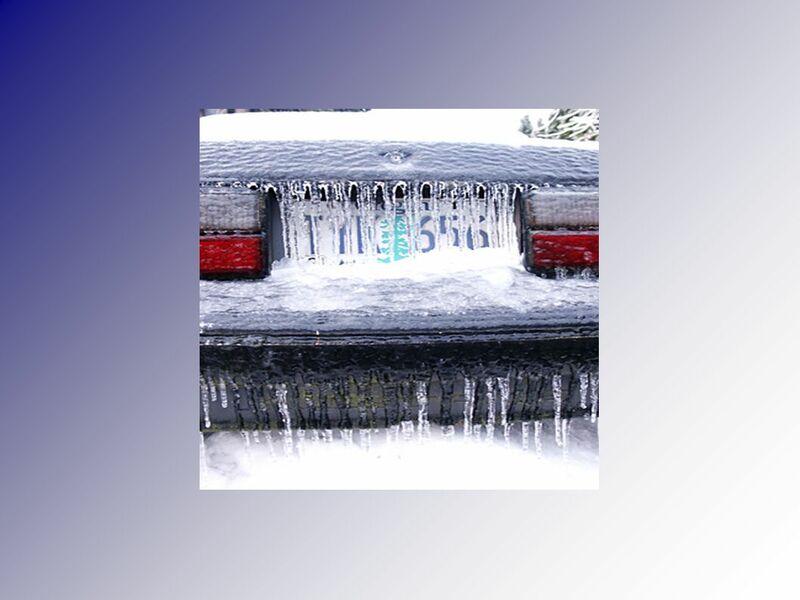 Areas of Southern and Eastern Oregon experienced blizzard like conditions and heavy snowfall. 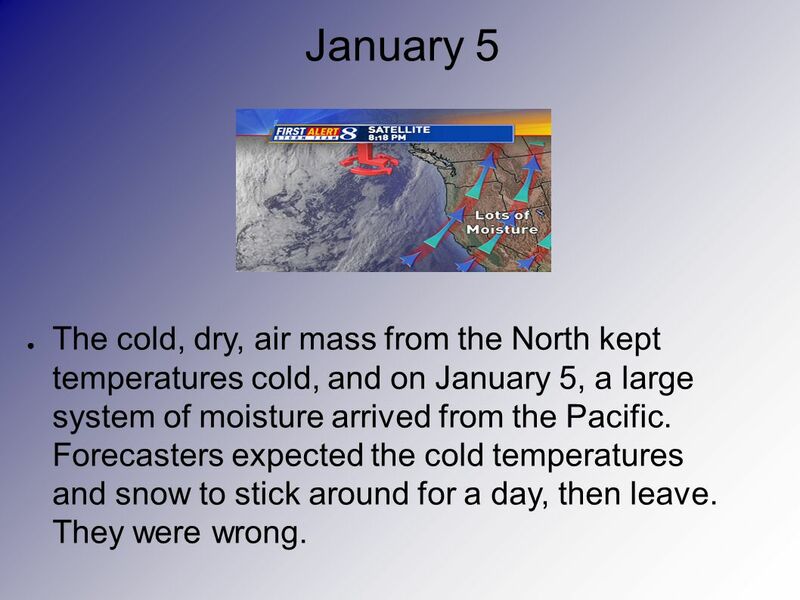 11 January 5 The cold, dry, air mass from the North kept temperatures cold, and on January 5, a large system of moisture arrived from the Pacific. Forecasters expected the cold temperatures and snow to stick around for a day, then leave. They were wrong. 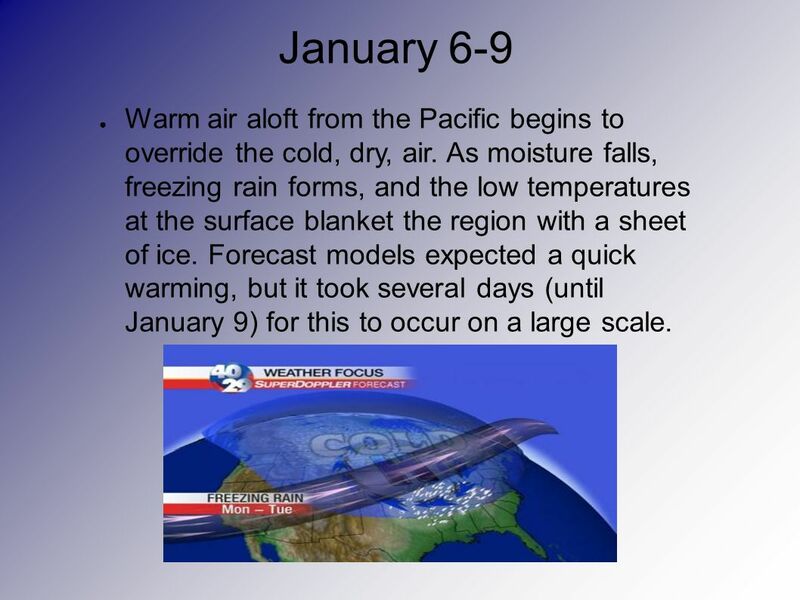 12 January 6-9 Warm air aloft from the Pacific begins to override the cold, dry, air. As moisture falls, freezing rain forms, and the low temperatures at the surface blanket the region with a sheet of ice. 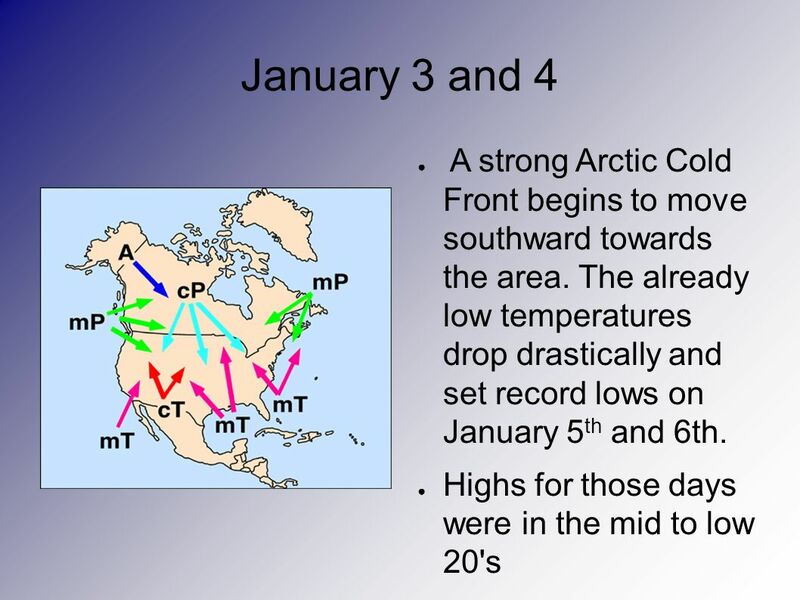 Forecast models expected a quick warming, but it took several days (until January 9) for this to occur on a large scale. 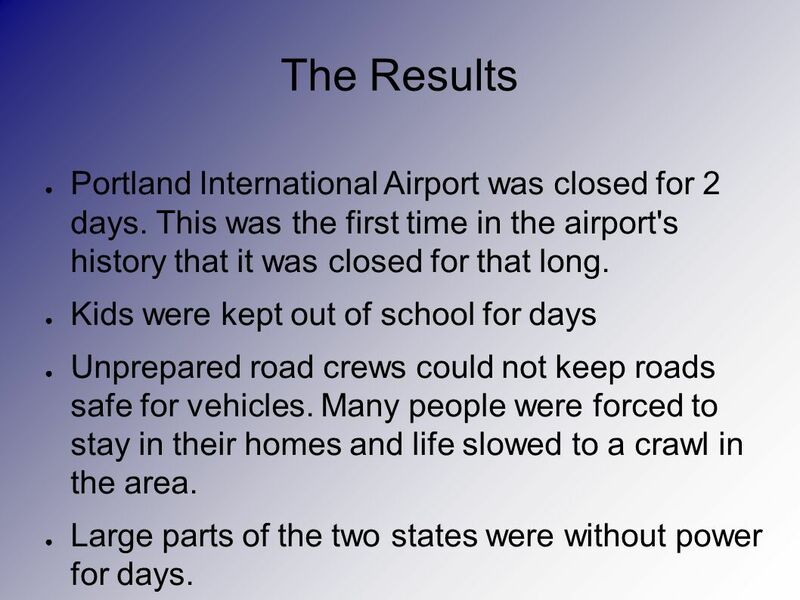 13 The Results Portland International Airport was closed for 2 days. This was the first time in the airport's history that it was closed for that long. Kids were kept out of school for days Unprepared road crews could not keep roads safe for vehicles. Many people were forced to stay in their homes and life slowed to a crawl in the area. Large parts of the two states were without power for days. 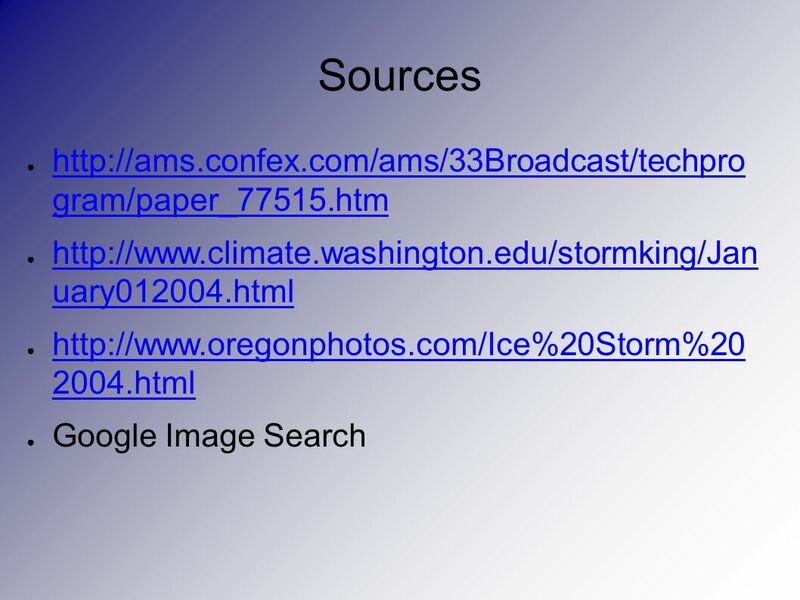 Download ppt "Severe Weather A Look At The Great Northwest Ice Storm By Benjamin Persitz." Air Masses and Fronts Weather Patterns. Weather Forecasting Making Predictions About Our Weather. July Temperature (  C) Figure July Temperature.  Condensation occurs when moist air rises and cools, forming clouds.  Air rises for several reasons: it may be blown over higher ground, it may be warmed. Snowstorms of the Pacific Northwest Lowlands Cliff Mass University of Washington January 21, 2009. Weather. 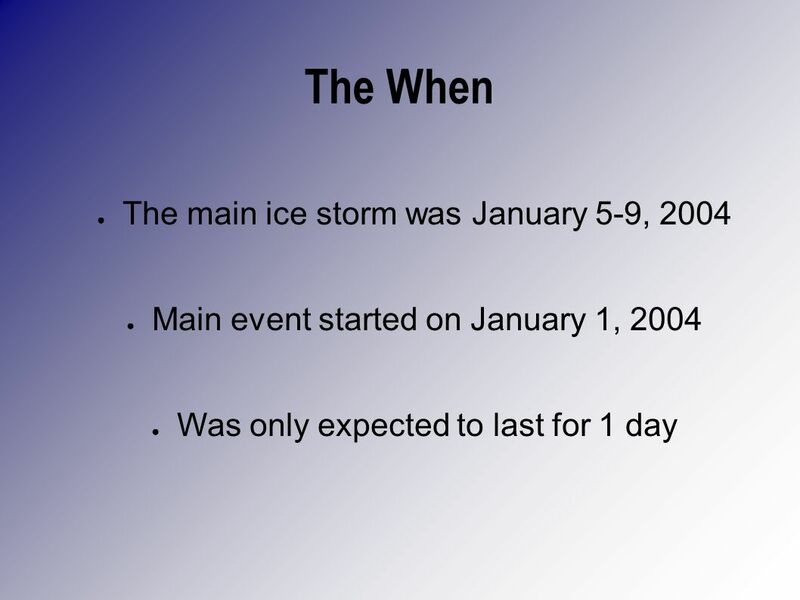 Weather - Short term conditions of the atmosphere based on four things: – 1. Temperature – 2. Humidity – 3. Air pressure – 4. Wind. Weather Extreme Weather. Summary  Thunderstorms  Tornadoes  Floods  Droughts  Hurricanes, Typhoons & Tropical Cyclones  Blizzards. Air Masses and Fonts Chapter 8 Section 3. Chapter 6. Weather and Climate Weather refers to the day to day conditions of the atmosphere in a specific area Climate describes the weather conditions. What creates different climates in Canada and what impact does climate have on human activity? The Climates of Canada. The Factors that Affect Climate Grade Nine Socials. Climate in Ireland. Ireland has an oceanic climate which is mainly determined by the Atlantic Ocean which lies to the west coast of the island. Due to. Rain Sleet Snow Hail Types of Precipitation. 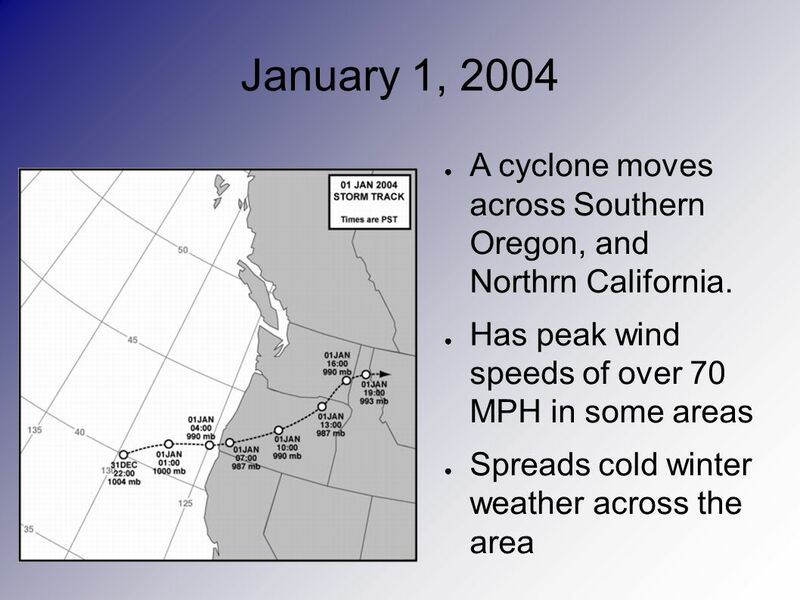 Precipitation Starts With Different Air Masses Being Pushed Around by Global Winds High pressured air mass.